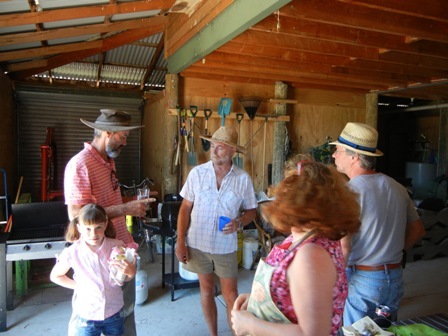 One of the great things in the Australian countryside is the many occasions live music can be enjoyed. 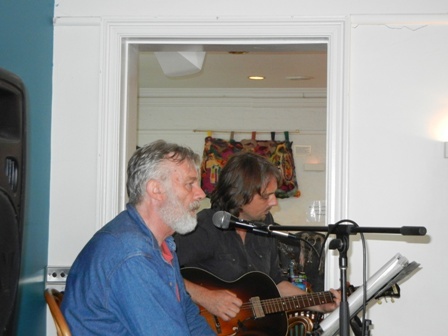 From blues to country and western to blue grass and hilly billy as well as jazz and rock, all music styles are on offer. 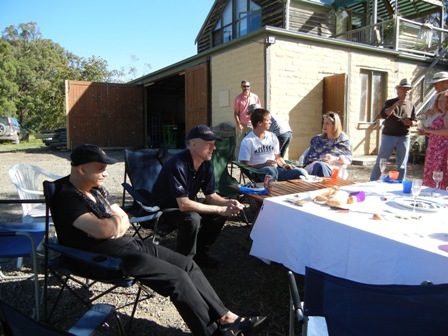 The last Sunday before my departure I had the chance to listen to Broderick Smith, an icon figure in Australian music and well known for his involvement with the Dingoes, a country rock band from the 1970s. 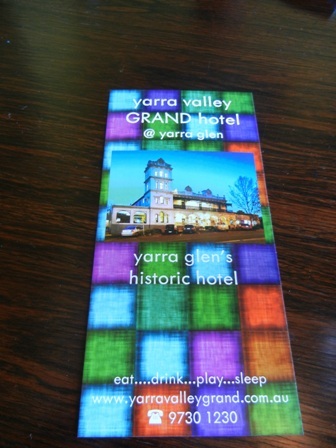 He played together with a guitar player in the Yarra Glen Grand Hotel. The music was great and I had to buy a CD from Broderick. The atmosphere in the pub was good too. Friends drifted in an out. I missed Australia already before I even left it behind. I love these Sunday afternoons with live music at the pub. 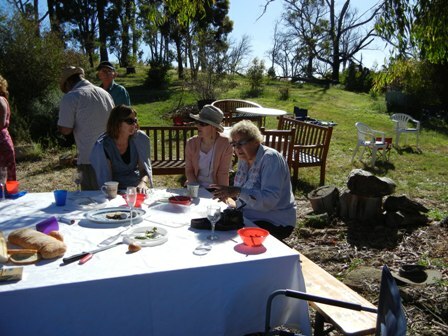 Lunching in the countryside is a wonderful thing. 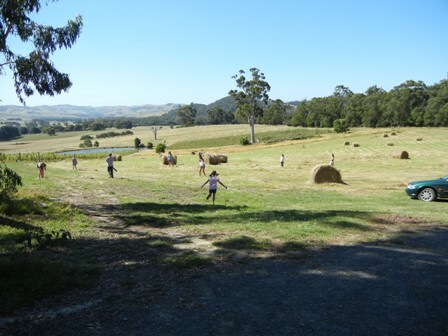 The picturesque country town of Healesville (population about 7,000 souls) is an ideal destination when holidaying in Victoria. 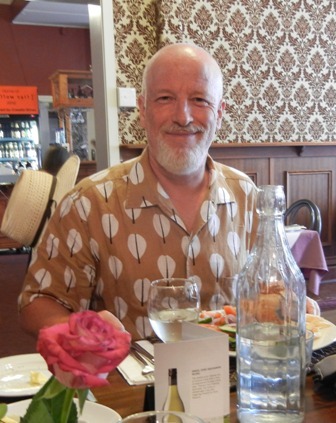 Since my brother-in-law Michael and his wife Helen live there, we often loiter in its streets and seek out the hip and not so hip places of food and wine worship. 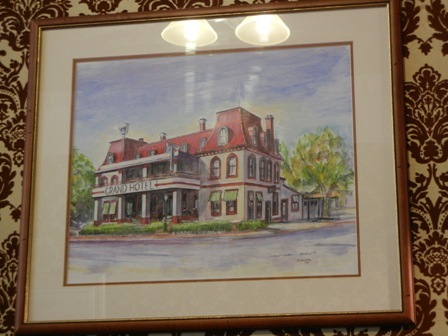 A nice place to have a rustic country lunch is the Grand Hotel, right in the middle of the town’s main street. 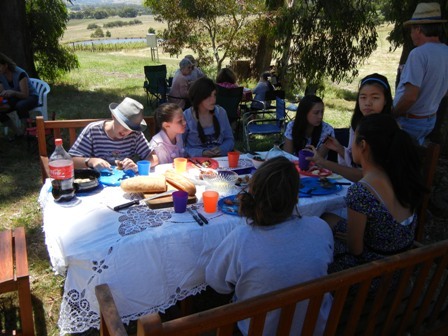 The dining room is a quiet and comfortable place. There is also a bar to the left of the entrance. The staff is very friendly and the service is good. The menu has a wide selection of dishes, even a Thai style beef salad. 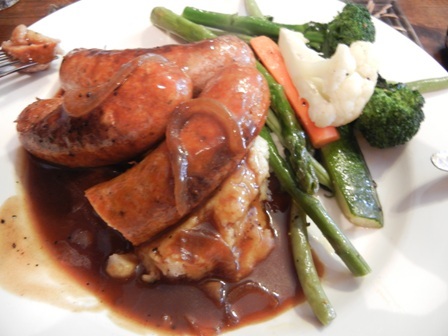 We went for the rural, home made type, sausages with potato mash and gravy and fish and chips. 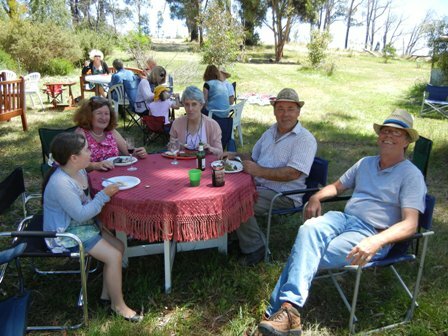 Others of our party had lamb chops or the roast of the day. There was a wide selection of local and not so local wines. We went for a wine from a more distant place, Western Australia. 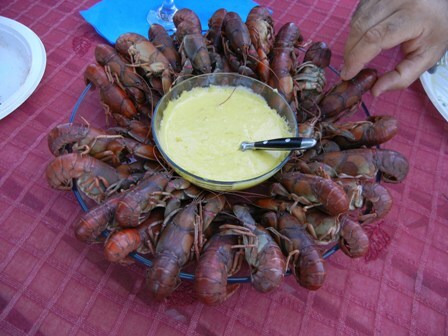 The Valley of the Giants was on special promotion, so why not taste it. 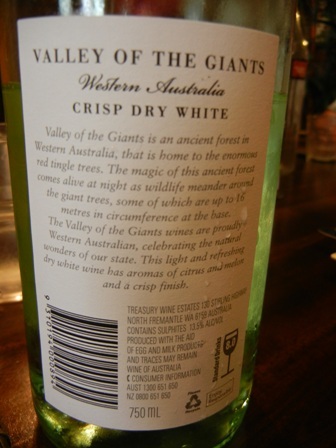 We selected the ‘2010 Valley of the Giants crisp dry white’. 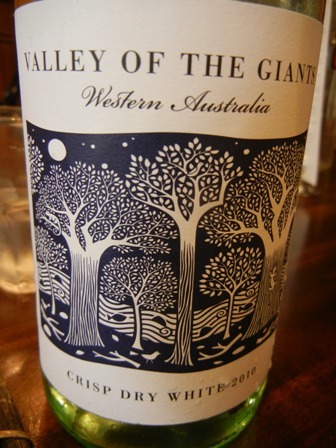 Valley of the Giants is a wine-making venture sourcing its grapes from growers in Western Australia. Nothing special so to say, not a boutique vineyard or so, just some people who make “technically clean” wine. But the wine matched the occasion. 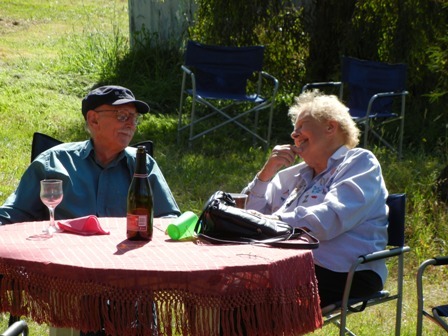 It was a rather hot summers day and a crisp white wine was just the right choice with our meals. 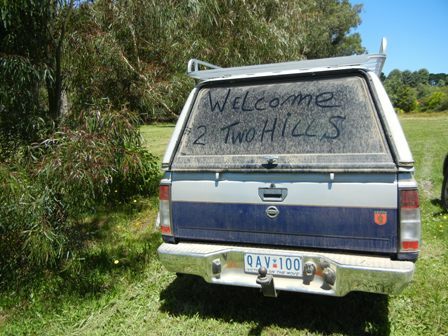 The Valley of the Giants is a wilderness region in Western Australia attracting many tourists who love nature. In the village of Denmark an ancient forest is to be found of giant tingle trees. One can go on a ‘tree-top-walk’, about 40 meters off the ground. 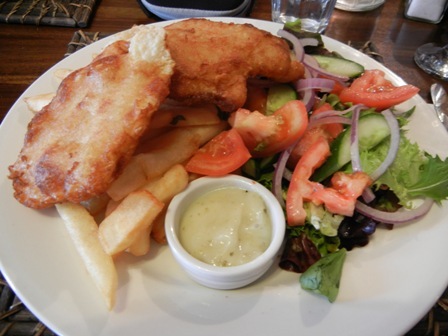 My suggestion: if you visit Healesville check out the many beautiful places including the wildlife sanctuary and after that have lunch at the Grand Hotel. It’s worth it. Our girls had played touch rugby the whole day and were very hungry when they came home. 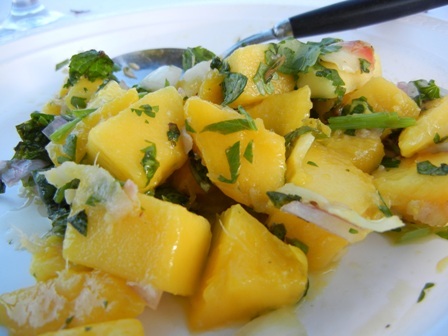 It was a wonderful mild tropical day, with sunshine and blue sky. 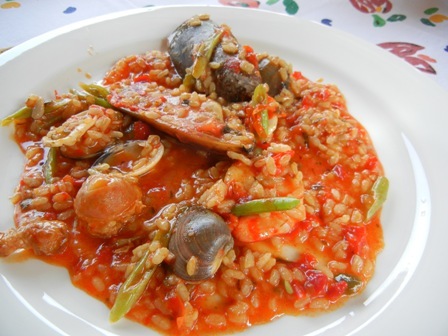 Why not have a Spanish meal: Paella came to mind. 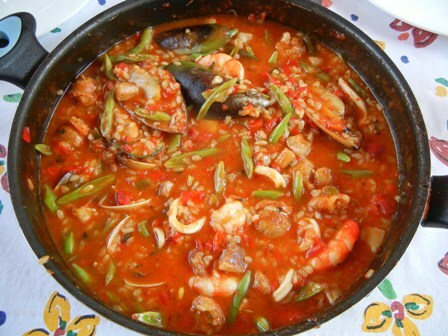 We had just the right wine to go with the spicy and robust Spanish dish. 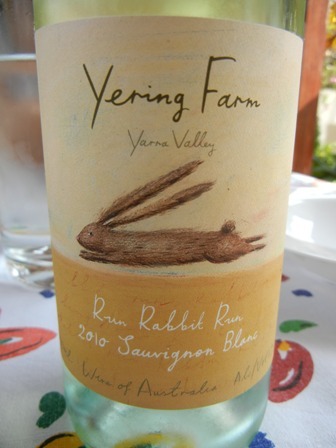 From our Christmas holidays on the farm in Glenburn we had brought with us a bottle of ‘2010 Sauvignon Blanc’ from the Run Rabbit Run series of Yering Farm. 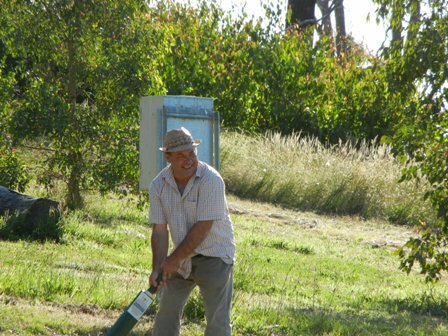 Alan Johns the ower-wine maker of Yering Farm is also making our own wines (Two Hills Merlot). 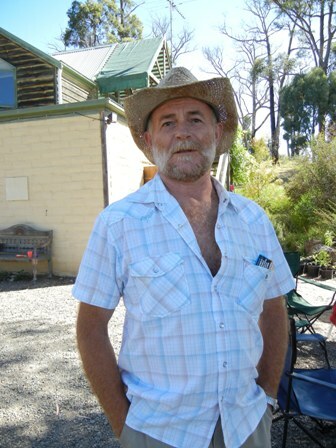 In 2010 Alan bought our Sauvignon Blanc grapes, and these grapes went into the ‘2010 Sauvignon Blanc’ of the Run Rabbit Run series. So we were quasi drinking our won stuff. 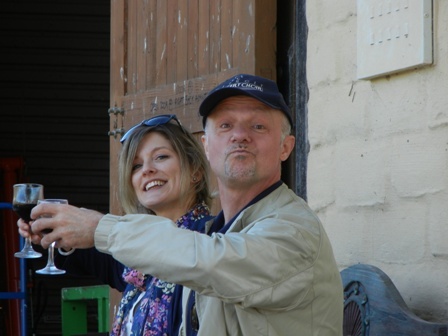 I do not know what other grapes went into this vintage but I am very proud that Alan made such a good wine with it. The Sauvignon Blanc is just the way I like it, fresh, young, zesty, full of flavour with fibrant acids and a good finish. I wish I would have access to this wine here in Bangkok. I urge you to try it if you can. 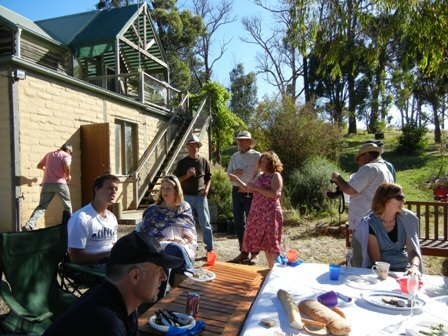 On the farm in Glenburn, Australia we get our drinking water from the roof of our dwelling. 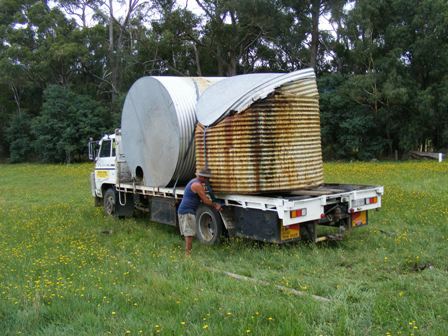 It is stored in galvanized iron tanks. 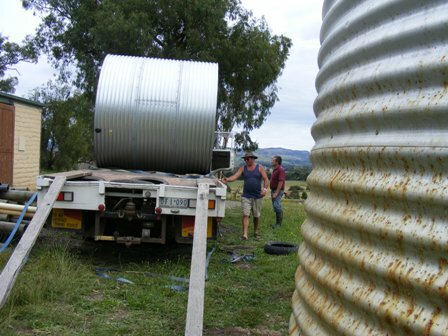 Our old tanks started to leak a couple of years ago. One of them collapsed almost completely last time we were there. We needed new tanks. They were delivered last week. Jack and Dave, two local blokes made it all happen. Michael was there to make sure it went well. He also took the pictures below. 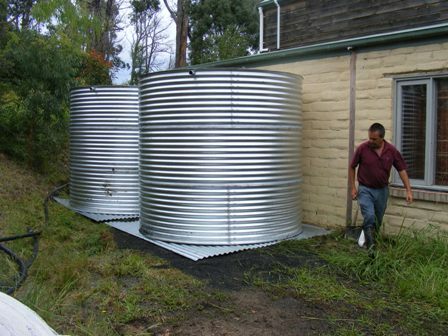 Next time we come, we will have new water from new tanks. Thanks folks for helping. PS: Photos courtesy of Michael Meinhold. Thanks Michael. 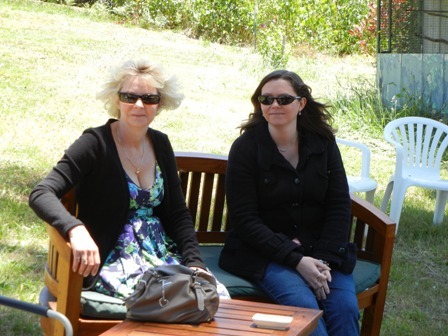 Well, let’s be clear from the outset: this is not the result of an orderly wine tasting. 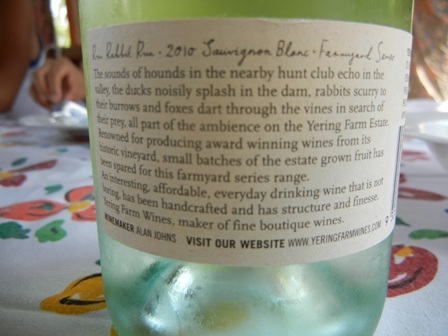 I am reminiscing about the most remarkable Rieslings I drank in 2010. The five wines below are the ones I selected, and I call them “my best Rieslings in 2010 – the Man from the Mosel selection”. 1. 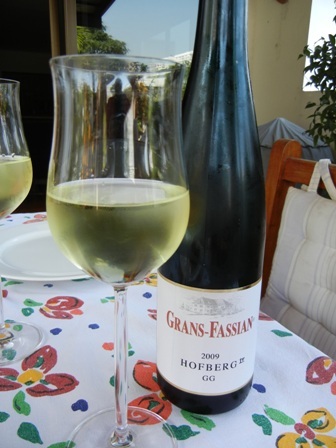 ‘2009 Dhron Hofberg Riesling GG’, by Grans-Fassian Estate, Leiwen, Mosel. This is a marvellous Riesling. The 2009 vintage was great. Grans-Fassian is a top Riesling producer from the Mosel. With 95 Parker points the Dhron Hofberg Riesling is just divine. I could not believe my luck when I casually strolled into the cellar door and picked up these treasures. 2. 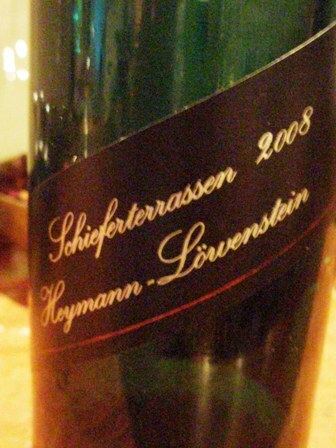 ‘2008 Schieferterrassen Riesling’ by Heymann-Loewenstein, Winningen, Mosel. 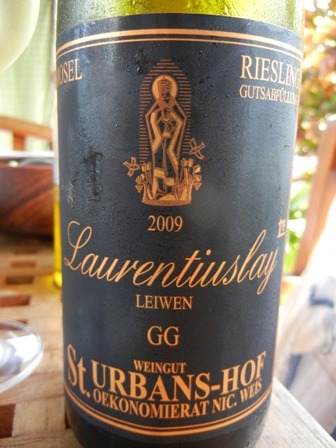 Weingut Heymann-Loewenstein is another of the great Riesling producers from the Mosel. 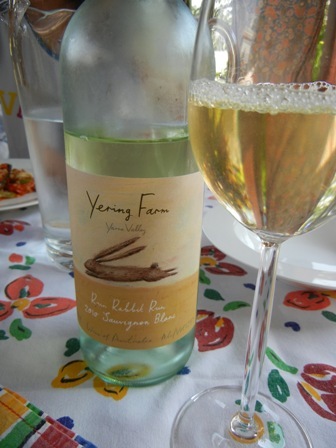 The wines are made in a different style from the mainstream. They show great character and have funk. Only on April 30, 2011 the 2009 vintage will be released. I am very excited and cannot wait to taste the 2009 Riesling. The wines made from fruit grown at Monziger Halenberg are among the best Riesling wines in Germany. The Nahe is the region where my maternal grandfather started to introduce me to wine when I was just a boy. Ever since I love this very diverse region. Monzingen is a small village next to Martinstein where I spent time with my grand parents. I walked all the different hills and slopes in the vicinity. 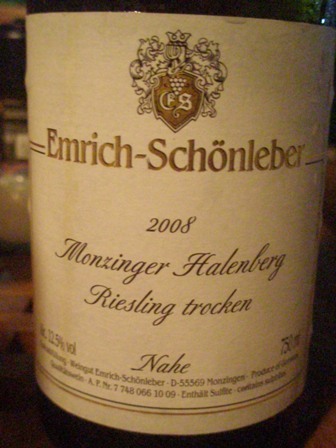 Emrich-Schoenleber is one of the top producers at the Nahe, a lovely family too where father and son make the wine together. Another wonderful wine from the Mosel. Weingut St. Urbans Hof is located in Leiwen, Mosel. 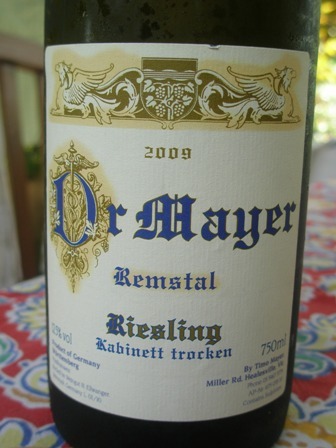 Recently we had a bottle of this Riesling with Sunday lunch. Goodness me what a treat that was. I had only one bottle with me when I came back from Germany in November. 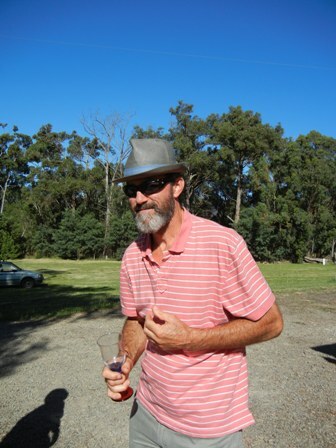 The good news is: I will be in Trier in mid March and guess what…..
Timo Mayer is an Australian boutique wine maker of the Yarra Valley and a native of Grossheppach, Remstal. He made this wine while travelling in Europe. 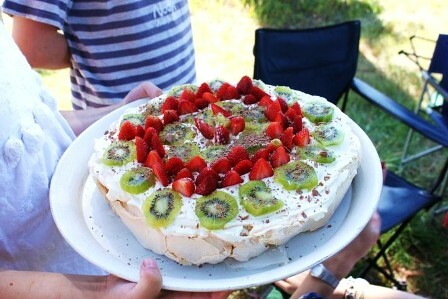 The grapes come from his brother and the family vineyard. The 2009 vintage was ideal for making this wine. Timo shipped about 60 cases back to Australia. We were so lucky to have access to a few bottles. You might say, all these wines are German Rieslings, did you not drink others? Well, I did. I tried quite a few Australian ones but that’s usually not my cup of tea. But I am undeterred. My to to list (to drink list) is long. I admit that I also love Riesling from the Alsace, France. Though they are creamer, heavy, earthy. I also love Riesling from Rheingau und Rheinhessen, in fact there are so many good German Rieslings it is very difficult to say which one to drink first. Please let me know what your best Riesling was in 2010. I am very excited. Recently, I was invited to the above event. 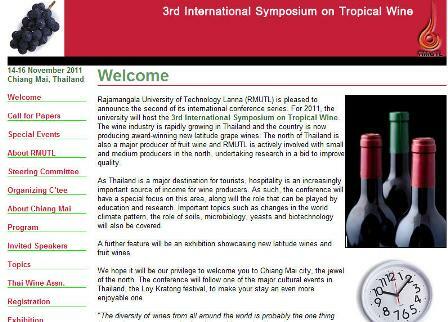 From November 14 to 16, 2011 the Rajamangala University of Technology Lanna (RMUTL) in Chiang Mai, Thailand will host the 3rd International Symposium on Tropical Wine. 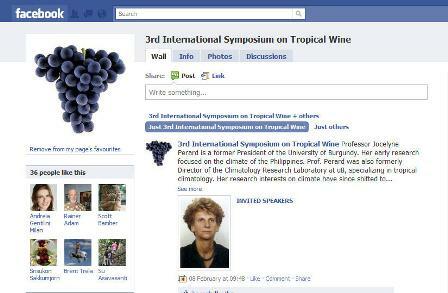 It will be the most significant gathering of wine experts, scientists, vintners and wine drinkers here in tropical Asia. Thailand is maybe the best developed producer of new latitude wines. 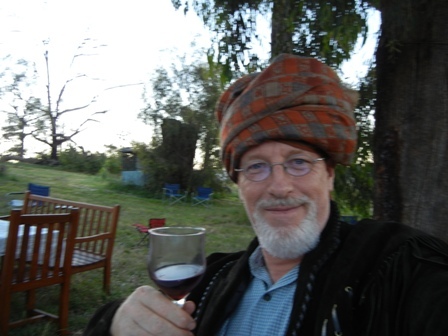 Although the Thai wine industry enjoys some protection from outside competition, it’s technological progress is remarkable, many of it’s wines are outstanding. 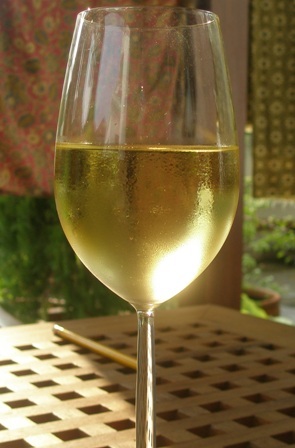 Wineries such as GranMonte Family Vineyard and PB-Valley Khaoyai Winery have become household names. Many new latitude wines have won major awards at international wine competitions. Chiang Mai and it’s surroundings will be a wonderful location for the event. Needless to say there is a facebook group to promote the event. I suggest you better join this exciting group to always be up to date about the progress we make. See you in Chiang Mai in November. You are currently browsing the The Man from Mosel River blog archives for February, 2011.